Biodome is one of the most requested events. It is a role playing game unique to this server that requires a lot of time and effort from the players as well as the host. 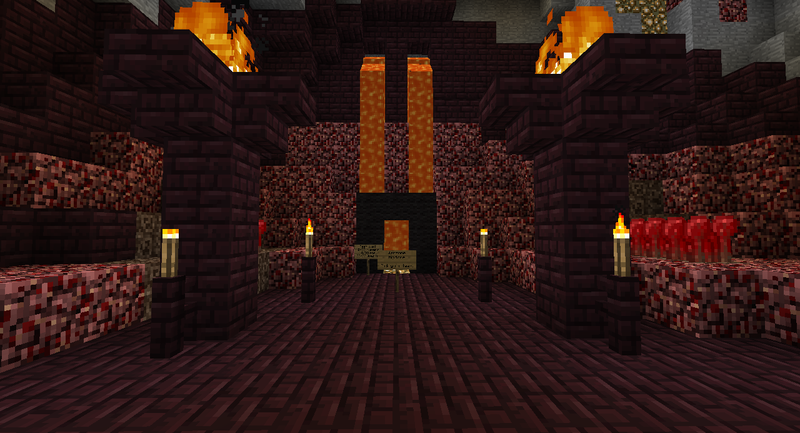 The host of the game is considered the "Nether God" that the players are trying to please. The Nether god will pick a leader of the people who is in charge of organizing tasks to get them accomplished as quick as possible. They must follow his every task, but amongst the players is a traitor trying to sabotage them! Every once in awhile, the nether god will require a sacrifice that the players will choose, and if they choose wisely they will sacrifice the traitor. The Main objective is simple, it is to complete the task that the nether gods give you and survive. If you are the traitor the main objective is to kill everyone and destroy their progress, while staying undercover. Always listen to the nether gods. Since this is a rare event, and a very time consuming one, the prizes are all rare. They vary between enchanted items (of the winners choice), nether stars, and big cash prizes.